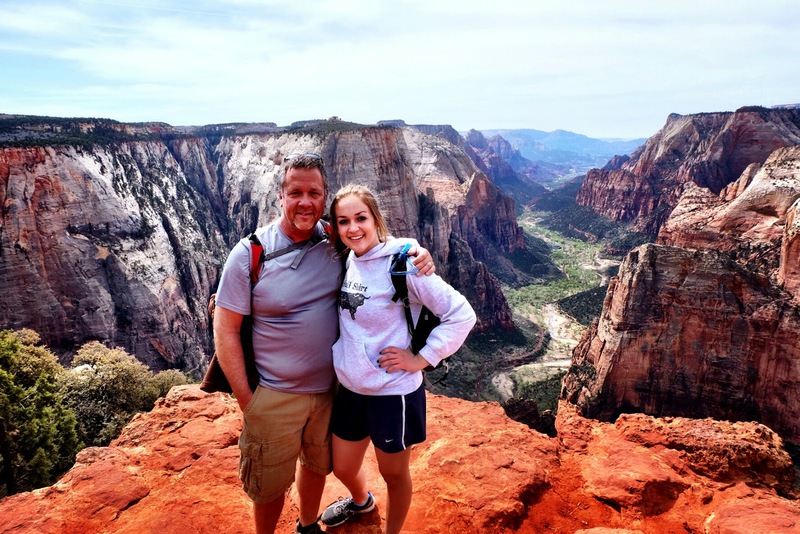 Despite all the celluloid and digital records I’ve made of this canyon, I’ve never had a moment where I could say that’s a keeper, I believe because all attempts to replicate fail on so many levels compared to Zion’s contextual impact on just being there, especially with someone you love. 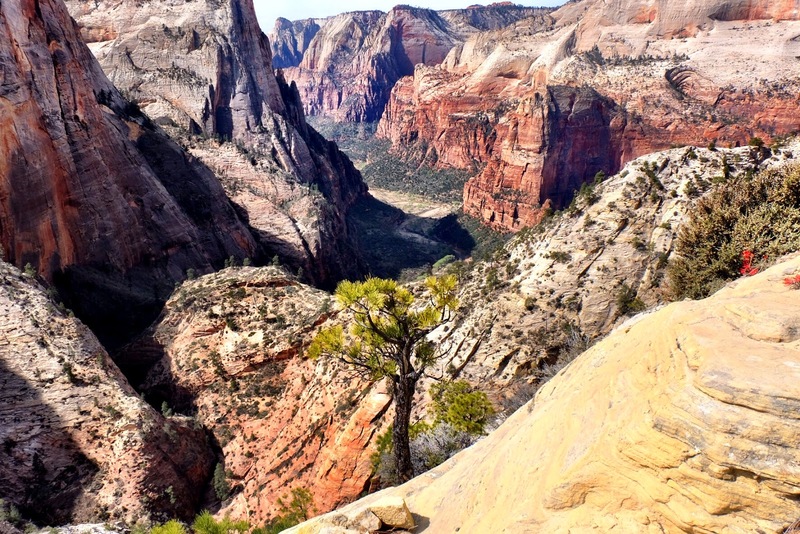 For me there’s little point in pulling out a print to look at Watchman, the Narrows, or Angels’ Landing, when the real thing is a short drive away. But that doesn’t stop me from photographing it. 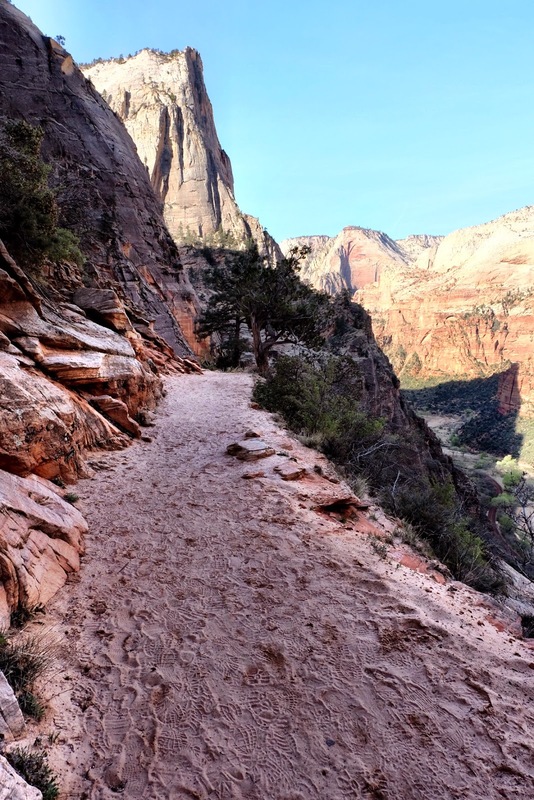 I’ve hiked most of Zion’s trails always with appreciation of the many hands of the Civilian Conservation Corps’ incredibly hard work to make navigating Zion accessible, if not a lot easier. 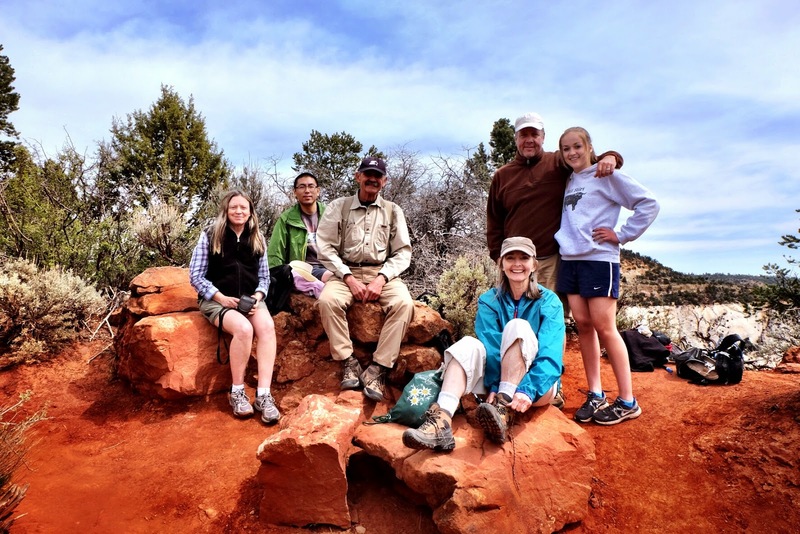 While my grandfather is fondly remembered for his part of the CCC’s movement in the thirties, this trek began with gratitude for the following generation, the company of my daughter. 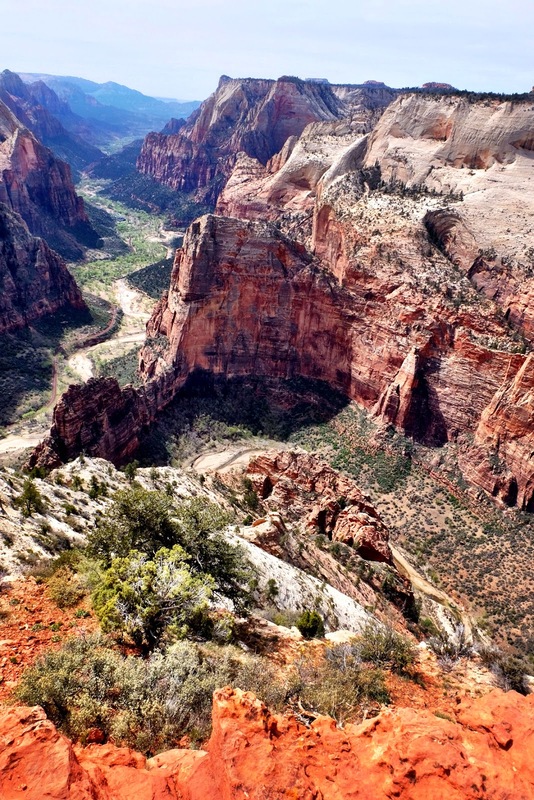 Observation Point is accessed from the trail head at Weeping Rock. 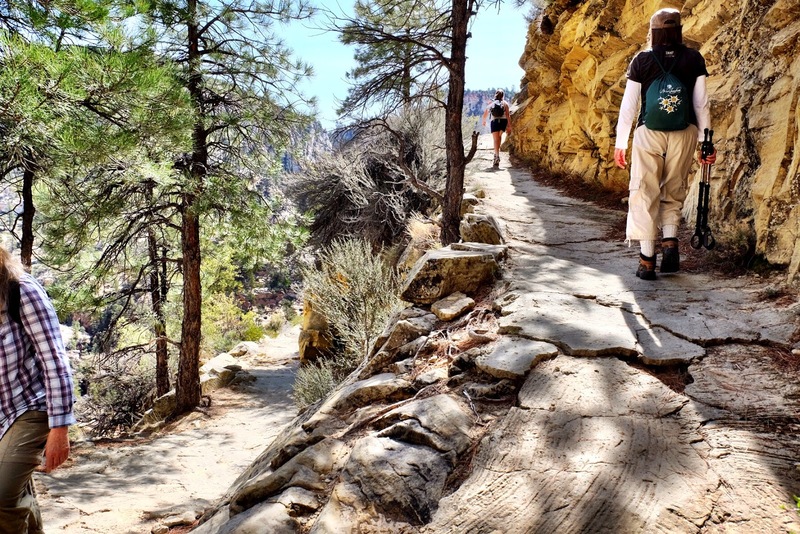 Its two thousand foot ascent ramps up quickly, engaging switchbacks and ankle-turning terrain immediately. 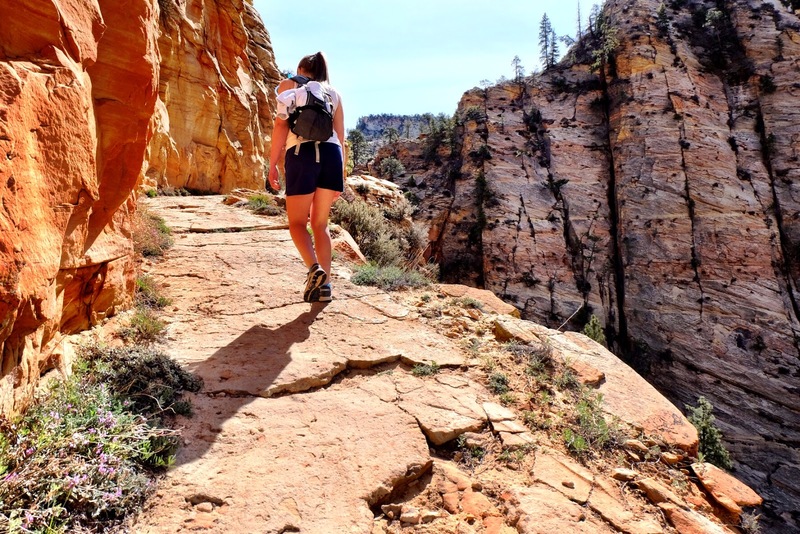 The trail follows the East Rim trail that branches off to Hidden Canyon. 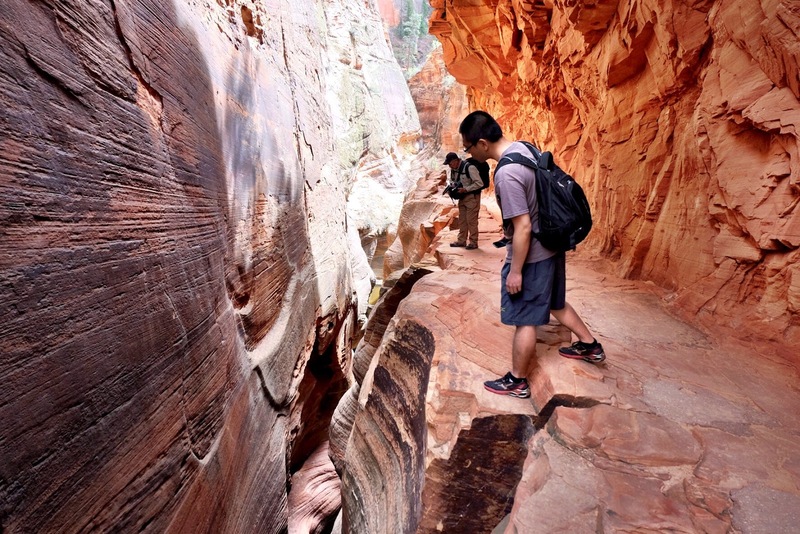 Once it lifts out of the canyon by 1,100 feet, transcending 150 million years of Mesozoic history, it levels off and meanders into Echo Canyon. 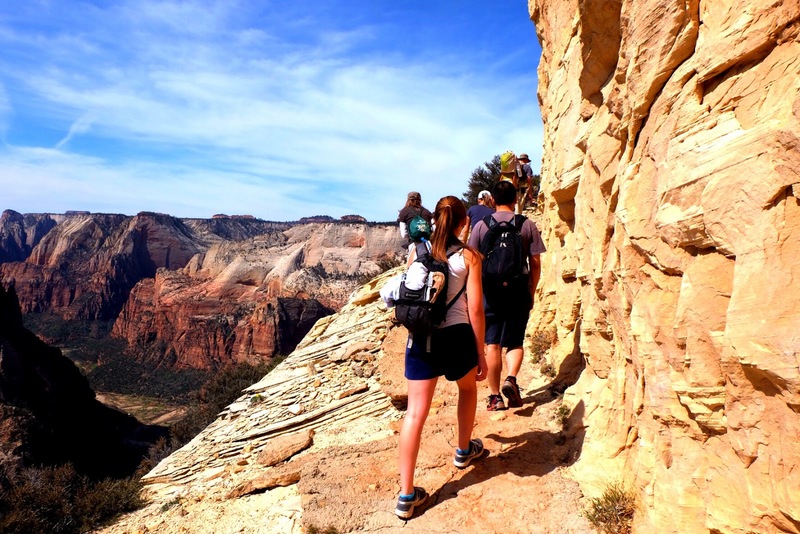 This part of the hike is as much a visual vertical payoff at the Point is horizontally. 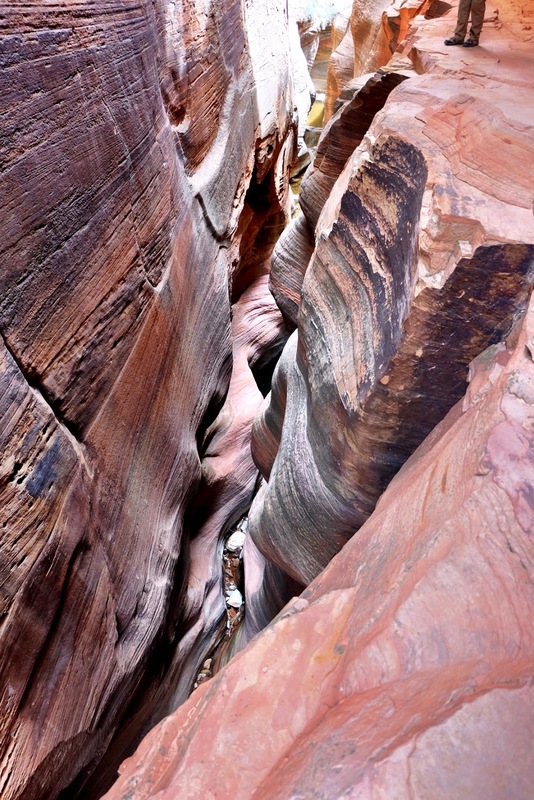 Just a few feet off the trail the canyon plunges into narrow crevasses that see little if any sunlight, not unlike Pine Creek. 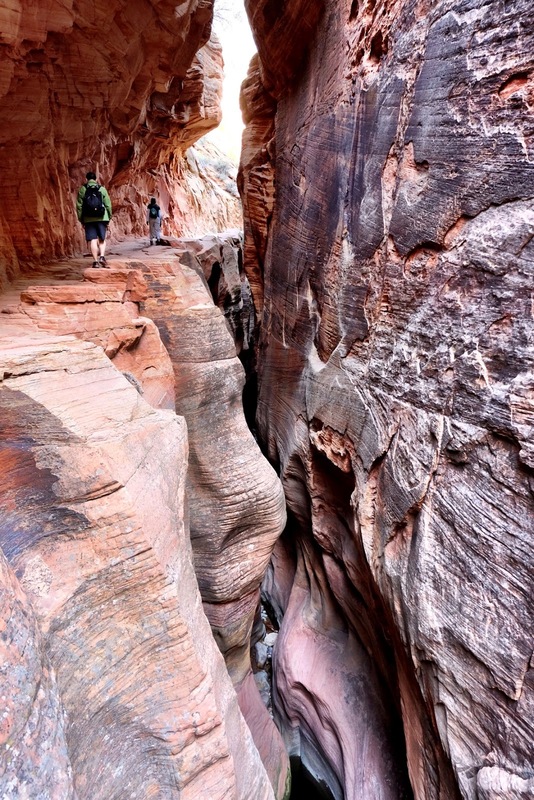 These narrows are navigable but require a canyoneering permit from the Park Service. On the east side of Echo Canyon the trail forks to East Canyon and continues the remaining 900 feet of its ascent up Mount Baldy. 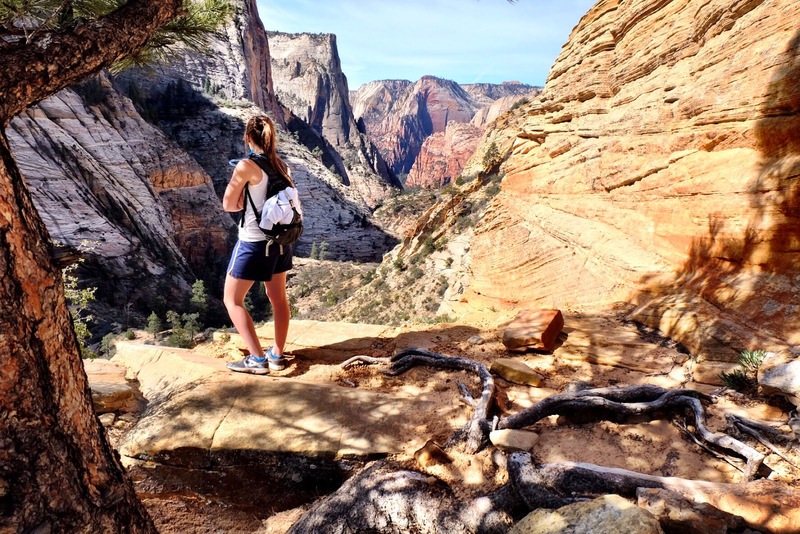 The trail throws every sort of terrain under your feet and require the full attention of your eyes while they’re distracted by the stunning views that pass along side your feet. 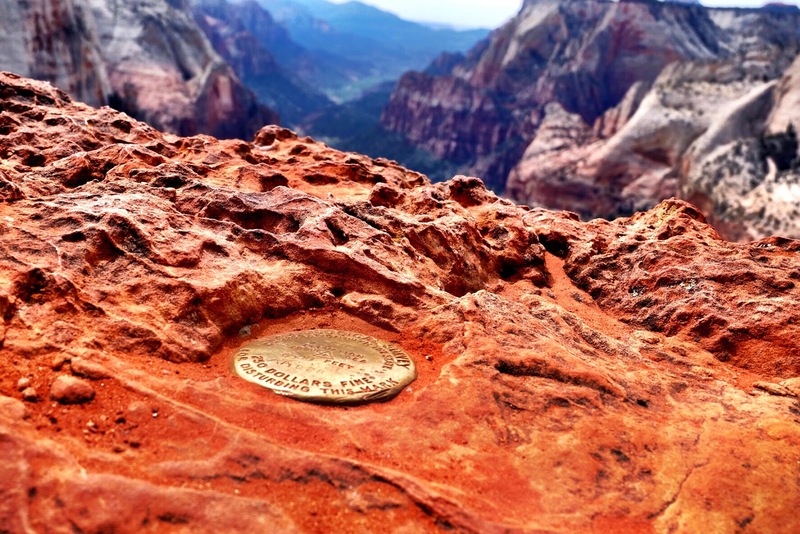 The Point is 900 feet above Angels’ Landing to give perspective to those who’ve been there. 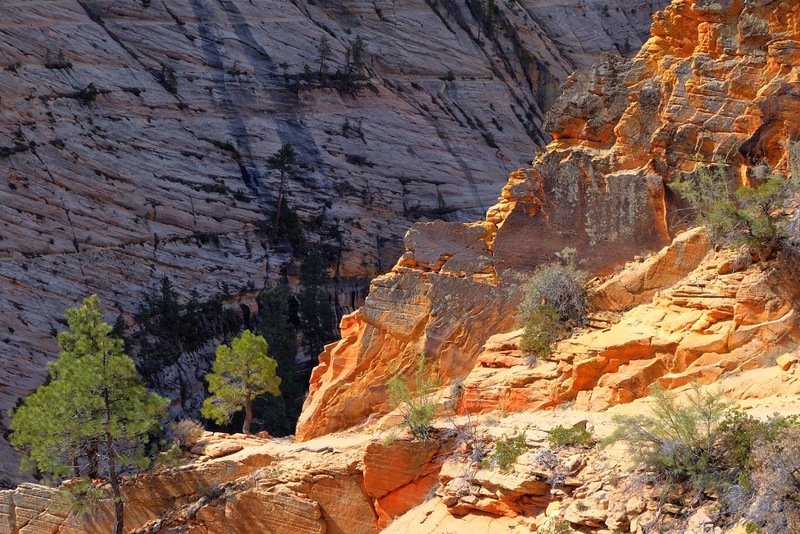 There’s little of Zion Canyon’s features that remain hidden from view. Save for my daughter, there were all professors in this party and it felt at times we had to resist complicating this experience, where she just let it wash over her. My appreciation was renewed by her company, her companionship and the lens through which she let me see the canyon like I’ve never before.